A- For carrying out ISM – (SMC) initial Audit . Documents required to be ready during Audit Time . c- Interim audit reports issued by PMS including non conformities if there is. d- Original Certificates to be ready on board and valid. g- Exercises operations records between company and vessels to be ready . h- SMS filing record schedule, (copy required). 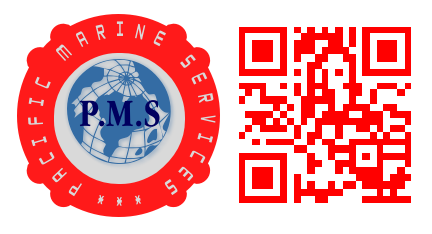 i- Shipboard safety management list for the office to be available and updating on board . j- crew endorsements and Certificates of proficiency, required by STCW, for rating crew to be available on shipboard..
A- For carrying out ISM – (DOC) initial Audit . d- Original DOC Certificate to be valid. i- Shipboard safety management list for the office to be ready. j- Certificates & services certificates of the vessel to be ready. (a) Statutory and Class Certificate, and the statutory and survey records of at least one ship of each ship type covered by the SMS. (b) Activities related to SMS have been operated in conformity with the Company SMS, as well as the requirements of conventions such as the ISM Code, SOLAS. STCW and Flag requirements, through examination of the controlled records. (c) In the case of a Company, which manages ship(s) manned with multi -national crew. how the Company is checking the language skills of the crew and their communication abilities. (d) Understanding and implementation of the Company’s SMS by Designated Person(s) and the Manager of each Department/Section related to the SMS shall be verified through interview. could ask more questions, but according to our experience the questions provided attached cover the 90 %. 1. All the vessel’s certificates (issued by the administrations or by class) should be valid. 2. All officers’ original certificates and licenses including the medical certificate should be valid and on board the vessel. 3. All non-statutory diagrams and notices are provided on board, (e.g. Muster lists, station bills, standing orders etc.) should be signed and dated by the master, or the chief engineer, or the chief officer as required. 4. All vessels’ drawings should be listed for easy identification and they should have the correct ship’s name. (This is particular important if the ship is second hand). 5. All safety management system documentation (manuals) should be the current one and the latest changes should have been incorporated in all copies. All old editions should be destroyed. 7. The master and the chief engineer should verify that they have issued the proper standing orders, which are countersigned by all deck and engineer officers respectively. 8. The safety committee meetings are scheduled and conducted as per company’s requirements (e.g. At least one per month), and the minutes of the meetings are up to date and objective evidence that any outstanding points are being taken care by shore or ship management, should be noted. The IMO’s Marine Environmental Protection Committee (MEPC ) agreed in July 2011 to a number of new regulations which are inserted in Annex VI of MARPOL to deal with greenhouse gases emitted from ships. The measures will affect all ships and require the issue of a new certificate. The requirements are to be complied with from the first IAPP periodical or renewal survey on or after 1st January 2013. The changes affect all existing ships and this Circular is intended to set out the basic requirements. International Energy Efficiency Certificate (IEEC). All ships of 400 GT or more will be required to be issued with an International Energy Efficiency Certificate (IEEC) by the first International Air Pollution Prevention Certificate periodical or renewal survey on or after 1st January 2013. New ships with a keel laying date on or after 1 st July 2013 will also be required to meet the Energy Efficiency Design Index standards (EEDI) in order to be issued with a certificate. Existing ships will not have to do this. However both new and existing ships will be required to show that they have a Ship’s Energy Efficiency Management Plan (SEEMP) on board at the date of survey in order to be issued with a certificate. All ships will have to have a Ships Energy Efficiency Management Plan (SEEMP) on board by the first IAPP periodical or renewal survey after 1st January 2013 in order to be issued with an IEEC. The amended regulation has been adopted by MSC.350(92) and requires crew members with enclosed space entry or rescue responsibilities to participate in an enclosed space entry and rescue drill at least once every two months. The requirements are to comply Enclosed space entry and rescue drills (SOLAS III/19 etc.) To require that crew members with enclosed space entry or rescue responsibilities shall participate in an enclosed space entry and rescue drill to be held on board the ship at least once every two months and must ensure that the shipboard drill programme has been amended to include the new drill in the forthcoming Safety Management implemented from January 1, 2015. The atmosphere in any enclosed space may be oxygen-deficient or oxygen-enriched and/or contain flammable and/or toxic gases or vapours. Such unsafe atmospheres could also subsequently occur in a space previously found to be safe. Unsafe atmospheres may also be present in spaces adjacent to those spaces where a hazard is known to be present.